The President of the Land and Titles Court, Fepulea’i Attila Ropati, has denied any wrong doing in relation to questions raised against him in the dispute over the title of Faumuina in Lepea. In a statement for the Court dated 12 May 2017 obtained by the Samoa Observer, President Fepulea’i moves to explain his position in response to claims by certain parties that he should not be involved. The parties had apparently made claims in letters to the Court where Prime Minister Tuilaepa Sa’ilele Malielegaoi, Minister of Justice and Courts Administration, Faaolesa Katopau Ainu’u and the Chief Justice, His Honour Patu Tiava’asu’e Falefatu Sapolu were copied. “The investigation of the title Faumuina of the village of Lepea has been arranged for this morning, there are important matters that I want to present, for the information of the Parties in Court and for the record,” Fepulea’i said in a translated version of his statement. Fepulea’i said the letters were also copied to all the parties of the dispute. “I do not know the main reason why the people that were copied in these letters were copied, only God and the Court Parties who own these letters know,” the President said. Fepulea’i said most of the claims centre around his perceived connections to Lepou Petelo and his wife, Sina. “But as for me, this is not something small to the families, and it is not a relationship that will buy my righteousness and will not affect how I carry out my duties in this matter, just like all other matters that I preside over or take part in. “The first instance I want to clarify is, Fepuleai Filitoga, father of Sina, Lepou Petelo’s wife, did not do my matai title, but it was Fepuleai Filitoga who stopped my matai. There are information at the Office of the Registrar to confirm this, that Fepuleai Filitoga stopped my matai and then he went and removed this, but I did not go to him, that is a true and honest statement. “The second instance is, 3 sworn eyewitnesses were given by Tuia Pua, Patu Sola and Niulevaea Ropati to confirm this statement by Lepou Petelo, ‘not to worry the matai title for the President was done by the father of his wife’, but as I have explained, this statement is not true as it seems to imply that it will force me to do something that is contrary to the guidelines of the courts. “It brings great sadness, that these kinds of thoughts imply that these kinds of relationships can be used to override and influence the execution of righteous decisions by this Court. “But if it is asked – ‘can I stop people from making these kinds of statements?’, the answer is, I can’t. “The only thing I can do is to explain to you, these beliefs and statements that Fepuleai Filitoga did my matai are not correct, and I swear infront of this respected and esteemed Court and Court Parties, that is not how I carry out my court duties as I have sworn to do, according to the suspicions held by Tuia Pua and others. “I want to also touch on the link with Lepou Petelo’s wife. We have a link, we were bestowed the same title with Sina’s father Fepuleai Filitoga and her brother Fepuleai Joe, which is the other part of the title Fepuleai from the family of Taualogomai in Saleaula. “But this link is about 8 to 10 generations before. As evidence, we are not close. This morning is only the fourth time that I have seen Lepou Petelo and he, me. “The first time I saw them was at the funeral of Fepuleai Filitoga where we met and I knew he was Lepou Petelo because he was a Member of Parliament at the time, the second time I saw them was at a party long time ago held at a family at Tulaele that attended the same church as Lepou Petelo’s Family, I knew the family, I was there, I walked in and Lepou Petelo and Sina were sitting there, they waved at me and I waved back and I walked on. The third time I saw them was on 16 January 2017 when this matter was investigated, and the fourth time is this morning, 12 May 2017. “I have only seen Lepou’s wife Sina twice in my life. The day they came for the title ceremony for her brother Fepuleai Joe, and the party at Tulaele that I mentioned before. At both times there were no conversations. 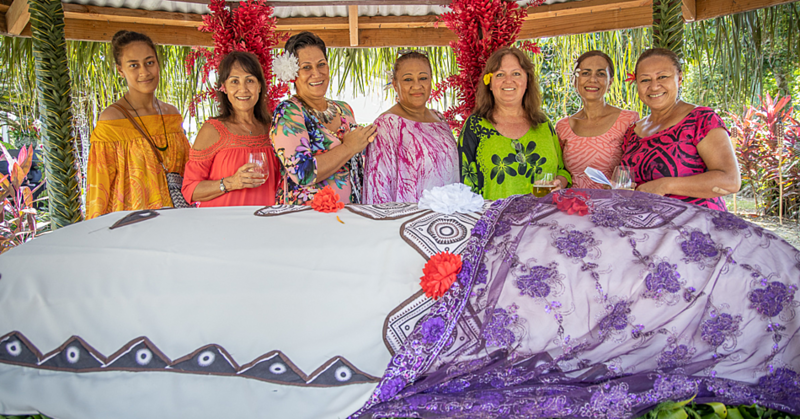 We don’t visit each other or get together during family traditional events, except for the funeral of Fepuleai Filitoga as I mentioned before where Lepou Petelo was. “Question – ‘do I have the power or capability to stop Lepou Petelo from making these kinds of statements?’, the answer is no. “Another question – ‘do these kinds of statements confirm that I will not make a righteous decision?’, the answer is also no. This leads to the last question – ‘should I not carry out my duties that I was chosen to do and which I have sworn to do, because of suspicions by others due to statements made by Lepou Petelo that I cannot stop?’, the answer is also no. In the end, President Fepulea’i removed himself from the proceedings. “Despite how I feel, and regardless of how genuinely passionate I am about carrying out my duties, to come across as me forcing my way into this investigation, in case you may feel that I have a hidden agenda that I am trying to pursue in this investigation. “I testify that – I am honest and will stand by my sworn testimony in all cases that I handle and am involved in. 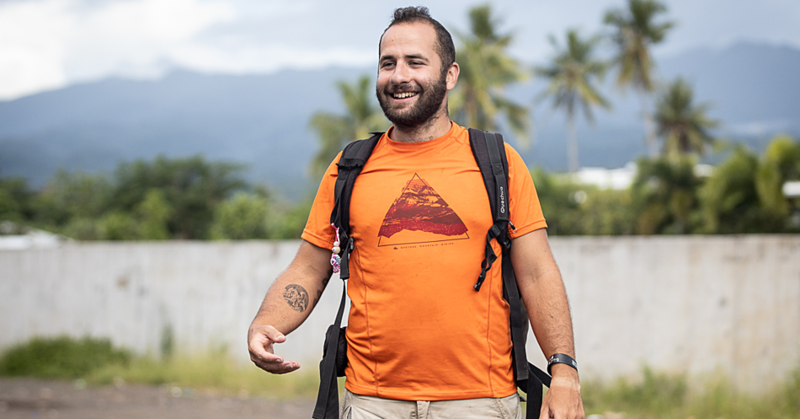 The oath I swore before God, and Samoa on 1 August 2016 – “I will do what is right for any kind of people without fear or favour, love or hurt”, with the help of God. “My statement is long, but opportunities and understanding are important, because feelings and suspicions will always abound. The most important thing, you have heard what I have to say, especially the Court Parties that wrote in, as there were a lot of people that were copied in their writings that I cannot reach with an explanation, but especially as well for records for the future. “I apologize to the Court Parties in this case, for not being able to continue the investigation of the Court of Appeal as scheduled for this morning, due to the reasons stated. Argument: The investigation of the title Faumuina of the village of Lepea has been arranged for this morning, there are important matters that I want to present, for the information of the Parties in Court and for the record. Subject 1 – clarification of the investigation of the Court of Appeal: The first matter, it’s this investigation, for reviewing the Decision LC.5767 P1-P10 dated 19 April 2010, as per permission given on the 20th January 2017. That means this is not a new matter, which is the reason behind the denial of the application that was submitted, for the submission of additional Court parties. There were those who applied to separate the Party of Vai Tagutu Viliamu Masoe as they think that he should be nominated for the Faumuina title, but it was also denied, because it was not a new investigation, it was a reassessment of the 2010 Decision. This means that it is only the ‘nofo’ or title holder who has been asked to leave in the application of the investigation of 2010, and other related matters, to be presided over by the Appeals Court. I apologize, if it seems that this is a new investigation with the resubmission of information as instructed, but it is not new, these are the normal practices of the Court as it so wishes. But the reason, it’s because there were Court Parties in the 2010 investigation that submitted their genealogy, but there were other Court Parties that did not submit any. They were asked to provide these so that all Court Parties will be uniform in terms of information provided, and to help with the Court’s investigations. That was also the same reason that supporting evidence was also required to support the title holders mentioned in the application, because there were title holders who took the stand in the 2010 investigation that were well prepared with documents to support these title holders, that was why those evidence were asked to be provided, so that all the title holders that were nominated in the application will be uniform, in supporting statements given. Subject 2 – rejection of the President from being part of this investigation: But the second matter, I want to comment on, so that the Court Parties are well aware, especially those who wrote in denying my participation in this investigation, because there were letters I did not respond to, but most of these letters, the honourable Prime Minister has been copied in and the honourable Minister of Justice, as well as his honour the Chief Justice and honourable Members of the Commission of Court Works, and the Court Registrar. The timeframe to reject any Judges from participating, ended on the 10th February 2017. But the first letter of rejection against me, the letter from Ulugia Aukuso and Sua Misiluki (16 February 2017), was copied to the honourable Chief Justice and Prime Minister. Rejection number 2, the letter (27 March 2017) from Toi Ilalio Ioane, was copied to the honourable Chief Justice, Minister of Justice, Member of the Commission of Court Works and the Registrar, as well as all the Court Parties. Rejection number 3, the letter (21 April 2017) from Ulugia Aukuso and Sua Misiluki, to reject me as well as other Male and Female officers of the Court. Rejection number 4, the letter (27 April 2017) from Tuia Pua Leota, Tupuola Sola Siaosi and Seufalemua Simone which was copied to the Chief Justice, Minister of Justice, Member of the Commission of Court Works and the Registrar of the Courts. Rejection number 5, the letter (28 April 2017) from Vaitagutu Viliamu Masoe, which was copied to the Prime Minister, Chief Justice, Minister of Justice, Member of the Commission of Court Works and the Registrar of the Courts. Although the deadline has passed, it’s important that I respond to the issues on which these claims are based on as well as other matters that were raised in these letters, so that the Court Parties are made aware, especially those who authored the letters that were given, in the belief that if all is clear and understood, it will alleviate any suspicions. The main reason for rejecting me from being part of the investigation of the title of Faumuina of Lepea – due to my being related to Lepou Petelo, through his wife Sina, who is the daughter of Fepuleai Filitoga, which was stated in the letter from Tuia Pua and Tupuola Sola, which said, Lepou Petelo made a statement during one of their meetings – ‘not to worry the matai title for the President was done by the father of his wife”. But as for me, this is not something small to the families, and it is not a relationship that will buy my righteousness and will not affect how I carry out my duties in this matter, just like all other matters that I preside over or take part in. The first instance I want to clarify is, Fepuleai Filitoga, father of Sina, Lepou Petelo’s wife, did not do my matai title, but it was Fepuleai Filitoga who stopped my matai. There are information at the Office of the Registrar to confirm this, that Fepuleai Filitoga stopped my matai and then he went and removed this, but I did not go to him, that is a true and honest statement. The second instance is, 3 sworn eyewitnesses were given by Tuia Pua, Patu Sola and Niulevaea Ropati to confirm this statement by Lepou Petelo, ‘not to worry the matai title for the President was done by the father of his wife’, but as I have explained, this statement is not true as it seems to imply that it will force me to do something that is contrary to the guidelines of the courts. It brings great sadness, that these kinds of thoughts imply that these kinds of relationships can be used to override and influence the execution of righteous decisions by this Court. But if it is asked – ‘can I stop people from making these kinds of statements?’, the answer is, I can’t. The only thing I can do is to explain to you, these beliefs and statements that Fepuleai Filitoga did my matai are not correct, and I swear infront of this respected and esteemed Court and Court Parties, that is not how I carry out my court duties as I have sworn to do, according to the suspicions held by Tuia Pua and others. I want to also touch on the link with Lepou Petelo’s wife. We have a link, we were bestowed the same title with Sina’s father Fepuleai Filitoga and her brother Fepuleai Joe, which is the other part of the title Fepuleai from the family of Taualogomai in Saleaula. But this link is about 8 to 10 generations before. As evidence, we are not close. This morning is only the fourth time that I have seen Lepou Petelo and he, me. The first time I saw them was at the funeral of Fepuleai Filitoga where we met and I knew he was Lepou Petelo because he was a Member of Parliament at the time, the second time I saw them was at a party long time ago held at a family at Tulaele that attended the same church as Lepou Petelo’s Family, I knew the family, I was there, I walked in and Lepou Petelo and Sina were sitting there, they waved at me and I waved back and I walked on. The third time I saw them was on 16 January 2017 when this matter was investigated, and the fourth time is this morning, 12 May 2017. I have only seen Lepou’s wife Sina twice in my life. The day they came for the title ceremony for her brother Fepuleai Joe, and the party at Tulaele that I mentioned before. At both times there were no conversations. We don’t visit each other or get together during family traditional events, except for the funeral of Fepuleai Filitoga as I mentioned before where Lepou Petelo was. Question – ‘do I have the power or capability to stop Lepou Petelo from making these kinds of statements?’, the answer is no. Another question – ‘do these kinds of statements confirm that I will not make a righteous decision?’, the answer is also no. This leads to the last question – ‘should I not carry out my duties that I was chosen to do and which I have sworn to do, because of suspicions by others due to statements made by Lepou Petelo that I cannot stop?’, the answer is also no. The first rejection of my being part of this investigation is by Ulugia Aukuso and Sua Tolumaanave Misiluki, because they believe that the Decision by the Court of Appeal has been moved, in which permission was granted to Reassess the Decision from the First Court, and the matters of the investigation of the First Court. That was the only letter I responded to, there are no appeal applications for decisions that have been granted permission to review or reassess a Decision. The rejection of my person by Toi Ilalio Ioane due to what he says is my relation to some of the descendants of Uilaefā of the title Mataia which includes the Prime Minister, as well as Toloafuaivalelei Falemoe Leiataua, Lealailepule Rimoni Aiafi and Fepuleai Ameperosa Roma. I have already notified the Chief Justice, I have no familial connections to the title Mataia of Vaimoso and the title Faumuina of Lepea. I come from Savaii, my father is from Iva, and my mother is from Saleaula. Except for Fepuleai Ameperosa, we are cousins, as he is the son of my mother’s brother, he is married to a lady decended from Uilaefā. 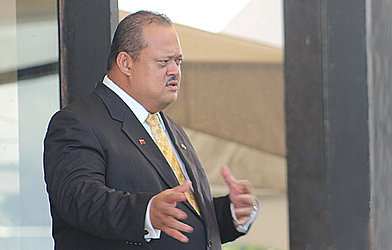 Toi Ilalio Ioane also claimed that it was the Prime Minister who appointed me as President, as well as a political connection with Fiame Naomi Mataafa. I agree that my father was an ardent supporter of the HRPP political party while he was alive, however, I have not attended any party organization or activity. The appointment of the President is done by his highness, the Head of State, upon advice from the Cabinet, with the support of the Chief Justice and the Commission for Court Works. The major reason for Tuia Paepae and them for rejecting me, it’s about the matter of my connection to Lepou Petelo which I have already clarified. The other matter is, it’s an accusation that we are descendants together with one of their witnesses to the title Leaupepe of Fasitoouta, and I have a title bestowment planned for the title Leaupepe where we are related with their witness. But the sworn statement given by Leuluaialii Gaui Pelenatete Tuia Faumuina, the wording has been changed to a belief that I am entitled to the Leaupepe title, and we have a connection to the Leaupepe title which they suspect will cause me to be biased. The first thing is, I do not know Leuluaialii, second I have no bestowment planned for the Leaupepe title, my brother already holds that title. Thirdly, I don’t know if Leuluaialii knows that the Leaupepe title has a lot of different families and sub-families tied to it. I am descended from the family of Tapulaaia. There are no Leuluaialii titles I our Tapulaaia Family. And the other thing, there is absolutely no reason to enforce and motivate me to show bias towards someone I don’t even know. I also have no intention of doing something like that no matter how close a link may be. The second rejection of myself by Ulugia Aukuso and Sua Misiluki due to the connection with some of the Court Parties, and I have already talked about this issue with Lepou Petelo. The only thing that Ulugia Aukuso may not be aware of, I know Lepou Petelo more than he knows. Maybe Ulugia Aukuso has forgotten, I often came with your brother and hung out at his pool table at Tulaele in those days. The evidence is, Ulugia Aukuso’s wife had a relative from New Zealand who was a shop keeper at Ulugia Aukuso’s shop, she has a child who is grown now who is named after me, but it wasn’t me, it was my friend that we often went together. Even Sua Misiluki, maybe this well known singer has forgotten, that we used to hang out at the river behind Lilia in those days. But he has pursued this connection with Lepou Petelo yet we did not talk, but the two of them, we used to talk. There have been so many letters and people copied in the letters, which has taken up so much of Ulugia and Sua’s time to distribute, which has made them forget the deadline for submission. But you did send through your application, and I replied to it. The rejection of myself in Vaitagutu Viliamu Masoe’s letter is due to the connection with Lepou Petelo that I have already spoken about. But the underlying belief that Vaitagutu Viliamu Masoe’s rejection is mainly based on because he feels that I am “not qualified”, and “I don’t have enough knowledge” to preside over this matter, compared to other Presidents such as the Chief Justice, Tagaloa Sale Kerslake, Lesatele Rapi Vaai and Vaepule Vaemoa Vaai. It’s important that I respond clearly to this as the people copied in this letter, the Prime Minister, Chief Justice, Minister of Justice, Members of the Commission of Court Works, were the ones who initiated and supported my appointment to the position of President. The truth is, Vaitagutu Viliamu Masoe is right, “I don’t have enough knowledge’, if my weaknesses are compared to the Chief Justice and the Presidents whose names are mentioned, who did and are still doing this job. That is also my aim, is to gain a lot of knowledge just like that of the Presidents mentioned. However, I am not ashamed of this, because this is life, those who went before will always have more knowledge than those who come after in any job. 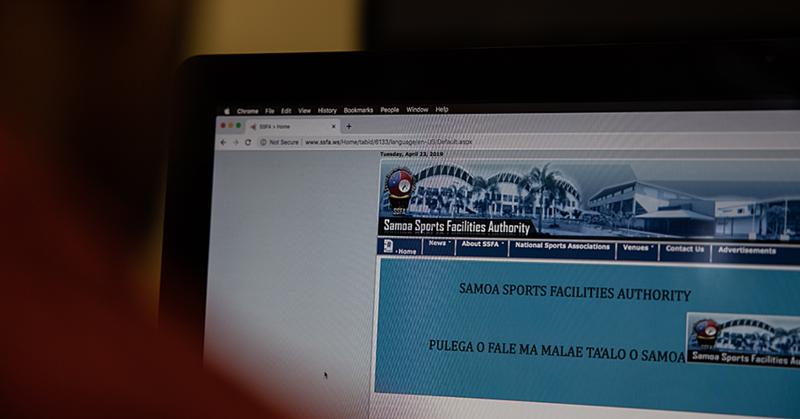 However, Tagaloa Sale Kerslake has resigned, Lesatele Rapi Vaai has retired, but the Chief Justice and Vaepule Vaemoa Vaai have close connections to this case, which is why neither of them can be involved in this case. If I don’t handle it, it may take a long time to look for another President to do it. However, Vaitagutu Viliamu Masoe questioning my competency for this job, there are 2 evidences I want to submit to address this belief by Vaitagutu Viliamu Masoe – ‘I am not qualified’. First, from August 2016 when I was appointeed, up to this morning, it’s been 9 months and 12 days, but this is now the 177th matter with this case of the Faumuina title of Lepea, the number of cases that I have handled and involved in. 131 cases were investigated and decisions were made on whether permission was granted or denied to reassess or review the Decision, but there have been 45 cases in the Appeals Court that I have led. From that 45, 39 cases have had their decisions made, but 6 will have their decisions called next week and the following week. The second evidence is, the Heavens know, it was far from me to be appointed to this role as I know I am lowly, that’s why I did not apply for it, I testify to that. However, God moved on the heart of the Chief Justice who initiated, and gave an advice to the Commission for Court Works to Cabinet, and supported and put forward an advice to His Highness, the Head of State. All of them (notwithstanding their traditional standings) supported and appointed me to this role. There were three Members of the Commission for Court Works and 13 from the Prime Minister and Cabinet, and the Head of State, there were 17 people (respectfully) who believed I had the competency to carry out this job, regardless of my lowliness and weaknesses, with the help of God. 1. Measuring righteousness/honesty – is it possible? I have already clarified and responded regarding the accusations and suspicions on which my rejection from being part of this investigation was based on, however it is still not easy to make some people believe. If only there was a ‘righteousness/honesty measure’, like the machine that checks travelers at airports, which will go off if it knows that a Judge hasn’t been honest, so that it will really convince and satisfy the Court Parties before the investigation. However, we don’t have a measuring tool like that. The nature of the courts, it does not help us believe people who are doing righteous/honest decisions, as all opposing views cannot all win. Whichever Party wins their argument, they believe the decision is righteous and just. But whichever Party is unsuccessful, they will always feel that the decision was not just. That is the burden that the Lands and Titles Court will always carry, as it is something that cannot be taken away from any Court, as that is how people’s perception of it always will be. Court proceedings have already been established as well, if any Court Party is not satisfied with a decision from the First Court of Lands and Titles, they can appeal, as per the case we have this morning, after it was granted as per the investigation done and the decision in January this year. If there are people who are not happy with the decision by this Court, there are provisions in our Laws that allow the High Court to handle any matters submitted to it. But if people are still not satisfied, there are also provisions in our Laws that allow the Court of Appeal to handle any matters that are submitted to it. These are direct words, I would be very happy if I don’t handle this case because I have so many other work that I am trying to complete, and I note this morning, from the Court Party led by Tuia Pua, one of the witnesses is Ulu Vaomalo, who is the brother of my father-in-law, which is a very close connection, which should disable me from being part of this investigation. The truth is, I have been married to my wife for a very long time, I did not know she has a connection like this to this matter, because not only has she not said anything about it, but I also haven’t seen information pertaining to the decision and proceedings of this case which I have researched for a long time in preparation for this investigation, if I had known I would have stepped away from it long ago. Despite how I feel, and regardless of how genuinely passionate I am about carrying out my duties, to come across as me forcing my way into this investigation, in case you may feel that I have a hidden agenda that I am trying to pursue in this investigation.